i_fact has no other items for sale. 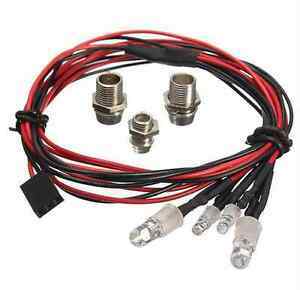 This LED set is including 4pcs Leds, 2pcs white Headlight and 2pcs red Taillight leds. With power supply from the receiver directly. The led size : white led 8mm, red led 5mm.